Yes Utah does Have “The Wave” Check it Out City Creek Center – A Must See! Utah is world renowned for skiing but did you know our mountain hiking trails are second to none? If you love the mountains, hiking, horseback riding or just having a picnic you are in for a treat. We have trails from easy to difficult depending on what you are looking for. Below you find information on an easy hiking trail for you and your family – or a difficult one for you hiking enthusiasts that love the challenge. Overview: This is a very short 1 mile hike to a beautiful alpine lake in the Albion Basin region near Alta and Snowbird Ski Resorts. This area is very popular on summer weekends so parking may be difficult. Take the time to relax at the lake and take lots of photos of your family with the mountains as a backdrop. Climb 4,000 feet on this great trail to fantastic views over the Wasatch Valley and Salt Lake City. 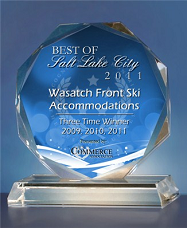 When coming to visit us here in Utah check out our amazing properties, full accommodations and beautiful as well.